KISS performed at the Sweden Rock Festival in Sölvesborg on Wednesday as part of their current European tour and video of the band’s pre-show press conference has been released. 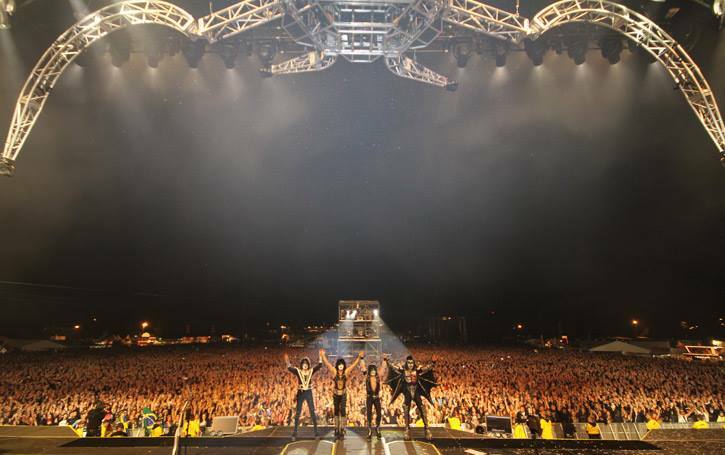 KISS unveiled a new spider stage for the tour, which they unveiled last weekend at the opening date in Stockholm. KISS is playing a mixture of headline shows and festival dates across Europe this month before launching an extensive Canadian tour in early July.